Shah said, "It is a big win for any party in Uttar Pradesh since independence. People have given us historic mandate and raised the party's responsibilities." Confident of forming government in Manipur and Goa, Shah said people in the recent elections have voted for politics of performance and not on the basis of caste. “This will take the country in right direction,” he added. With the party winning in Muslim dominated areas, Shah said the people of UP has risen above Hindu-Muslim. “Voters are voters they are not Hindu or Muslim,” said Shah. Shah however, refused to talk about the chief ministerial candidate in UP and Uttarakhand saying it will be decided by the party’s parliamentary board. “The party will decided on CM face based on the qualification.” The party chief also rejected Mayawati’s allegations that the BJP tampered with the EVMs. “I can understand her pain. She has the right to make allegations. But they are not true,” said Shah. 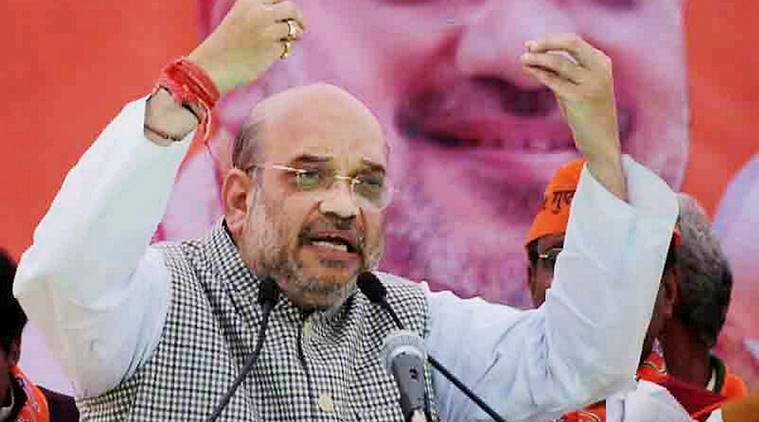 Praising Prime Minister Narendra Modi for winning the confidence of people, Shah said the results have proved that poor of the country find their association with Modi ji.